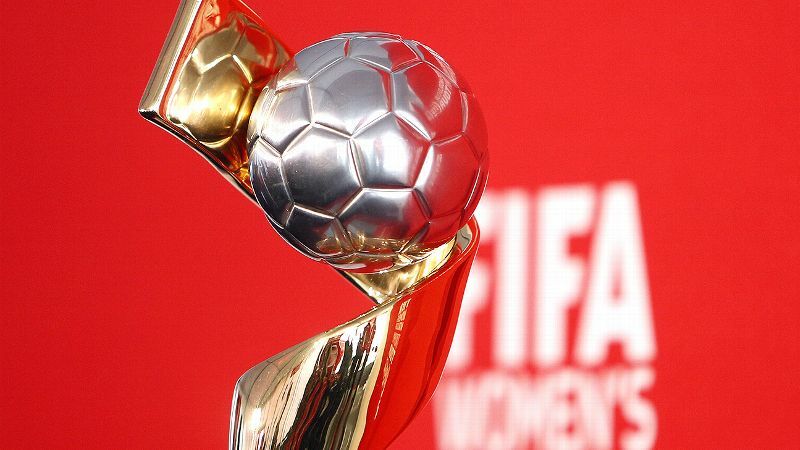 EDMONTON, Alberta -- On the anniversary of a World Cup win against Colombia that eventually helped the American men's national team reach the knockout phase of a World Cup, the United States women's national team denied its Colombian counterparts the same kind of historic result. 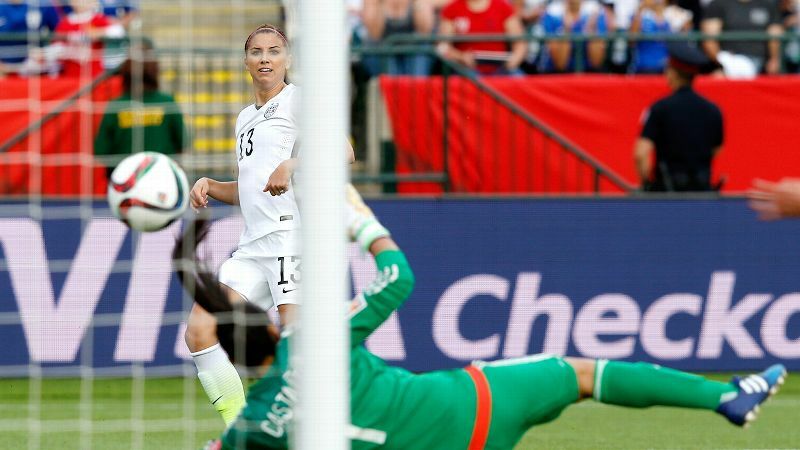 Behind second-half goals from Alex Morgan and Carli Lloyd -- both after Colombia was reduced to 10 players following a red card to its starting goalkeeper -- the United States advanced to the quarterfinals with a 2-0 win. 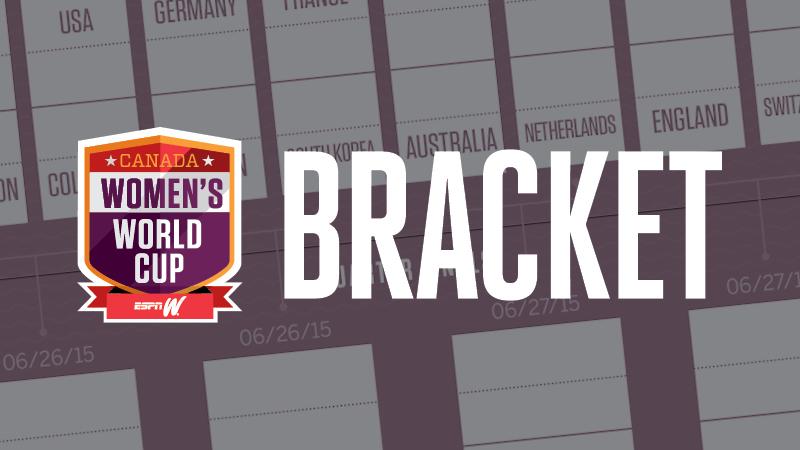 The United States moves on to Ottawa for that quarterfinal against China on Friday. It is the first meeting for the teams in the World Cup since the 1999 final in the Rose Bowl. More to come from Edmonton, but here are three observations from Monday's win. If you want aesthetically pleasing, there might still be time to watch replays of Germany beating Sweden and France beating South Korea in recent knockout games. This wasn't that. From a first half in which the Americans piled up more fouls than scoring chances, to Abby Wambach's missed penalty early in the second half, this wasn't the comprehensive win or breakout performance many had hoped to see out of the American team after its hard-fought passage through the Group of Death. It was enough. And that does count. 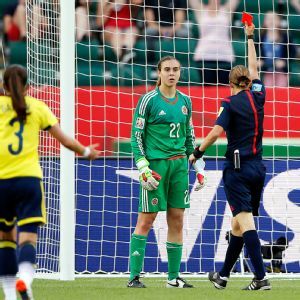 Yes, the Americans scored multiple goals for just the second time in four games, but they did it against a team reduced to 10 players after starting goalkeeper Catalina Perez was sent off for the foul on Morgan that set up Wambach's miss from the spot. The United States still had to actually get the ball in the back of the net after the red card, and there is something to be said for how it did so with the passing that led to Morgan's short-angle goal and the Megan Rapinoe run that created the penalty Lloyd converted. But there isn't much to extrapolate from playing against a woman-down Colombian side that would be relevant should the United States make a semifinal against Germany or France (or even against China on Friday). What is worrisome is a first half that again appeared aimless for worryingly long stretches. The United States got the job done. That's all it had to do. But it will have to do more. The United States used the same starting lineup in back-to-back games for the first time in this World Cup, but first-half yellow cards to Lauren Holiday and Rapinoe mean the Americans won't get a chance to extend the continuity to a third game. It was each player's second yellow card of the tournament, which means both will miss the quarterfinal against China. Catalina Perez was red carded in the 49th minute for taking down Alex Morgan in the box. 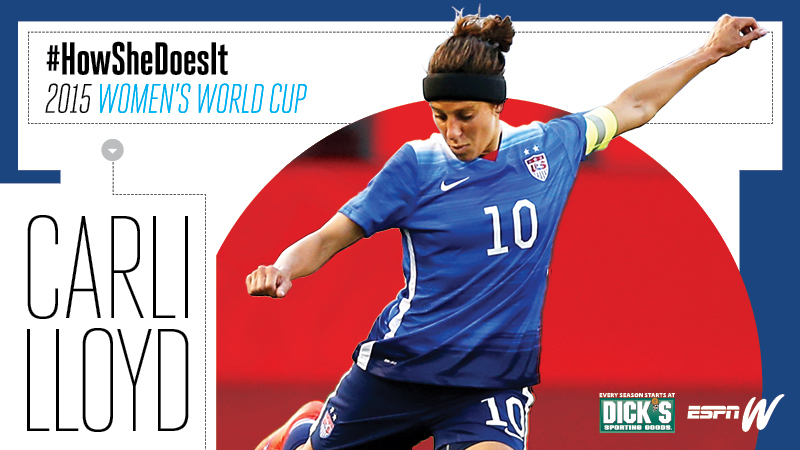 Abby Wambach missed the ensuing penalty kick, but Morgan scored in the run of play four minutes later. There wasn't too much room for complaint. Holiday appeared to clatter late into Yoreli Rincon in the 17th minute, one of four fouls she committed in the half, while Rapinoe, who appeared close to going in the book for dissent on a couple of occasions, took out Orianica Velasquez in the 42nd minute as the Colombian player tried to keep a ball alive in the final third. It is a shame to remove Holiday at any point, given her talent level, but it's all the more so after a game in which she had more success getting involved in the attack. Whether it was a beautiful 25-yard pass to Meghan Klingenberg that ultimately amounted to nothing, or her contributions to the penalty Morgan drew and the goal she scored, Holiday had a presence. And it was good to see that again. Her absence could give Morgan Brian minutes in a more central role, as she filled Monday as a second-half substitute. Rapinoe has maintained a presence this entire tournament, which makes her loss particularly painful. 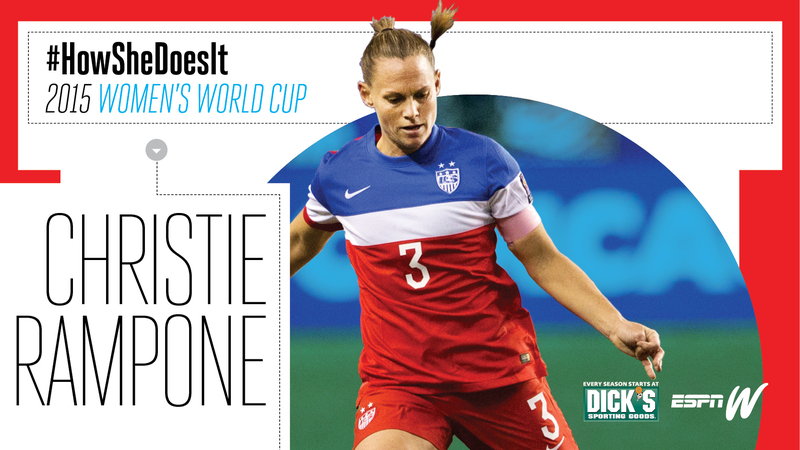 She played a role in each of the four goals the United States recorded in group play (scoring two of them), might have been the most active player in the otherwise uninspired first half Monday, and drew the second penalty in the second half. Add in the 0-0 draw against South Korea in the final game before the World Cup, and it has been a long time since this team played well without her. It will have to now. It's a little hasty to suggest there is a vacuum in South American women's football just because Brazil lost to Australia in Moncton, but it's not a great sign that the quarterfinals will take place without the continent being represented. But put aside all the talk before the game -- talk that ultimately did it little good -- and Colombia is easy to like. The ball tricks Lady Andrade deployed on multiple occasions on the end line might have been better theater than tactics, although the Colombian player did earn a corner at one point despite putting on her show in the face of multiple American defenders. But her effort was indicative of both a spirit of play and talent to pull it off that would serve the women's game well. Nor did the Colombians go to pieces after the red card, or after going down two goals. The win against France was a massive result for the women's program. Monday's performance, if far from perfect, suggests the former wasn't a fluke. Colombia needs more funding, as is the case throughout much of the world. It needs a league in which these players, who have been part of success at the under-17, under-20 and now senior levels, can continue to train and develop. But this team showed during its time in Canada that it is close to being able to walk the walk, in addition to talking the talk.